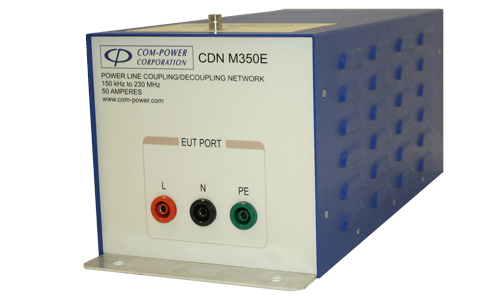 Coupling Decoupling Networks are recommenced for all power supplies immunity testing and the distubance signals are coupled to each conductor in the supply lines according to EN 61000-4-6 standard. 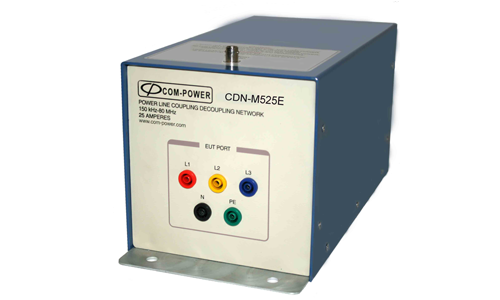 The standard M series CDNs have a current rating of 25 Amps. 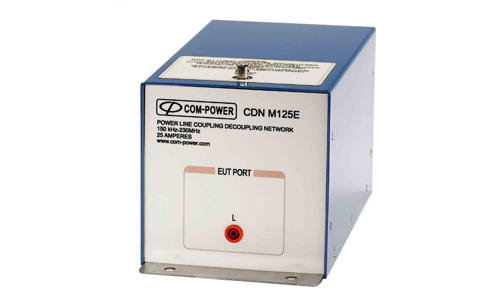 However, Com-Power CDNs are available for power supplies for 50 Amps and 100 Amps from 2 to 4 conductors. 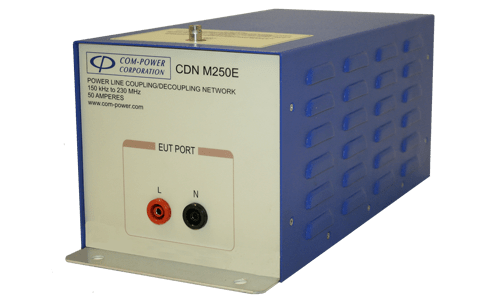 These CDNs cover the frequency range of 150 kHz - 230 MHz. 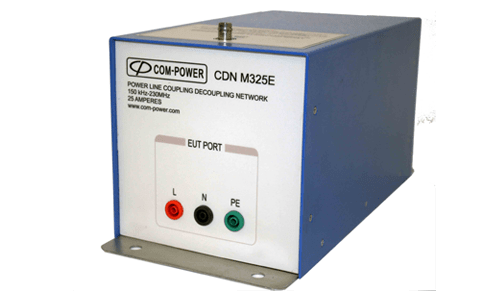 Unscreened Power Supply Line. Single conductor power cable. 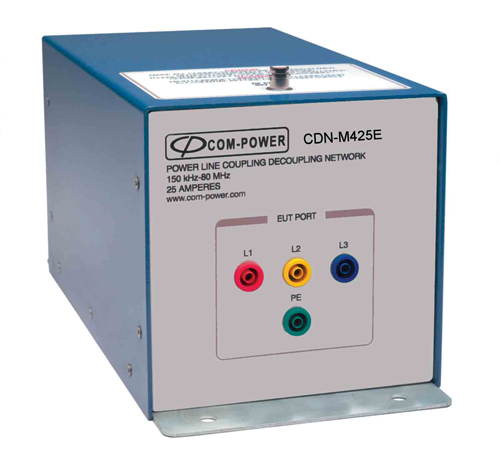 Unscreened Power Supply Line. Two conductor power cable. 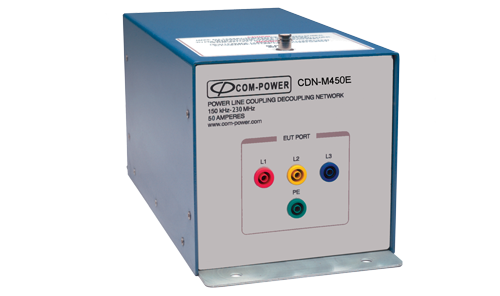 Unscreened Power Supply Line. Three conductor power cable. Unscreened Power Supply Line. Four conductor power cable. 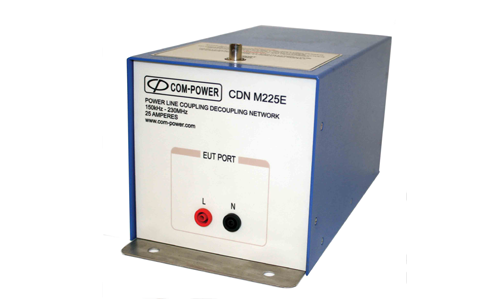 Unscreened Power Supply Line. Five conductor power cable.